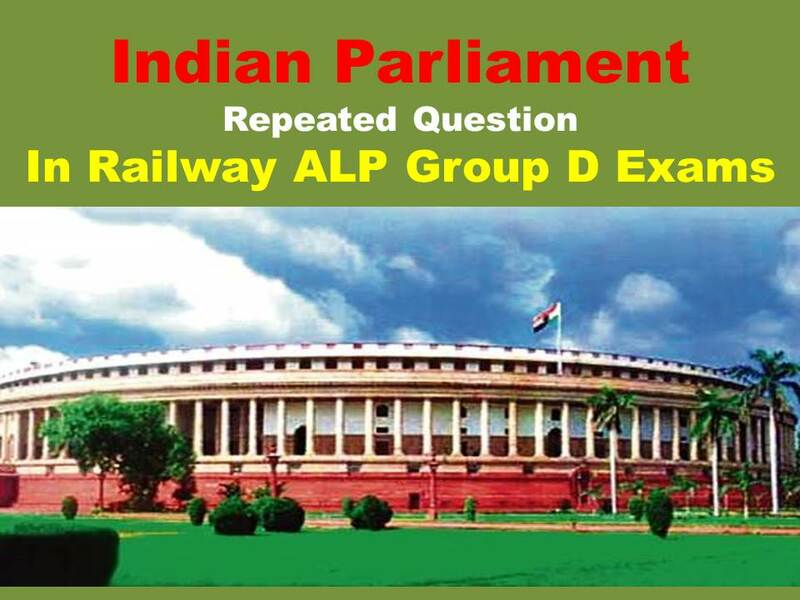 Indian Polity Repeated Question about Parliament: Hi Viewers welcome to our portal ssc-ibps.com, in this article we are providing the important repeated question in Railway Recruitment Board Examination like as Assistant Loco Pilot, Group D and Other Examinations. in the year 2018-19 Indian Railway Recruitment has released more than 1 lakh railway posts in different notification. For all notification examination pattern and syllabus are mention in previous articles. This article given the most Important Indian Polity Repeated questions in Railway exams these bits are useful for preparation. Q. The first Law officer of Indian Govt. Q. Till now, the Preamble of Constitution of India has been amended for how many times? Q. Who is known as the first Law Officer of India? Q. Who can initiate impeachment of the President? Q. Who is NOT entitled to take part in the activities of Lok Sabha? Q. Who holds the power to appoint the nominees for Anglo- Indian Community in the Lok Sabha?